So, we planned a day around it to celebrate her birthday. After a trip to the Petrolia Library (wow, nostalgia!) 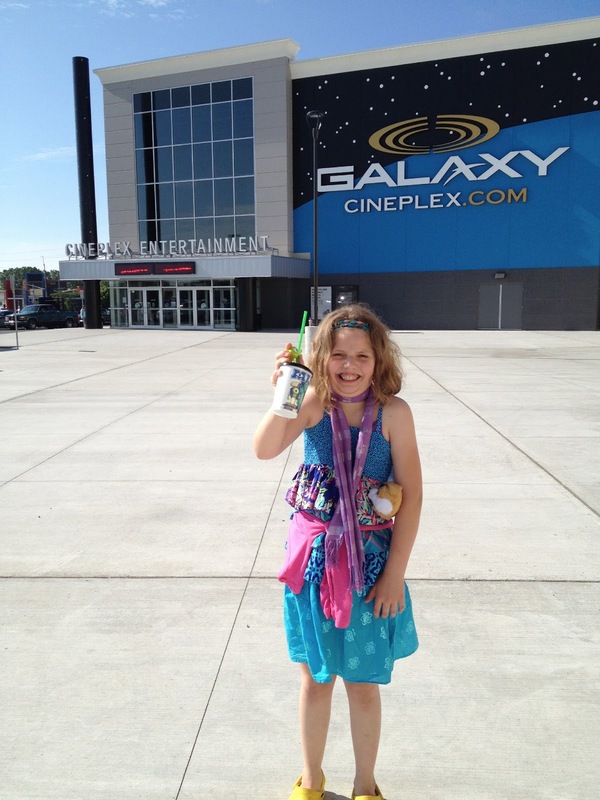 we headed to the brand new theatre in Sarnia to see Sully, Mike and Friends. As a bonus, we saw the movie in 3D. Fun!! It was a great movie, telling the back-story on how Sully & Mike met and became friends. Very cute. Speaking of very cute, Madison read her library book to me all the way to Sarnia. She is a great reader, rarely stumbling over words and putting expression into the characters. It was great! We had dinner at Montana's, ice cream under the bridge and headed home for a rousing game of Sorry! I love my special days with the nieces & nephews. It's time set aside for me to spend enjoying the character of who they have become. Happy birthday Madison. Love you loads.